Playground plays a very essential part in the upbringing of your children. Besides becoming physical fit, they also become mentally and emotionally strong. While playing at the playground, they interact with a number of children of the same age group, which make them socially active as well. In short, playground helps a lot in the overall development of the children. 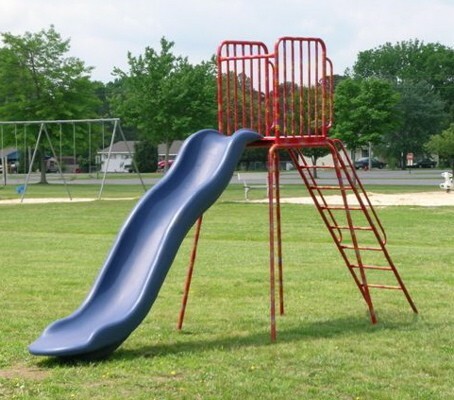 There is a number of playground equipment available in the market such as seesaw, swingset, sandbox, and overhead ladder, etc. Internet is the best way if you want to purchase this equipment for your children. There are many advantages of purchasing this equipment online, as it will save your time, money as well as effort. Safety: Safety is one of the most important factors while selecting any equipment. Always check whether the equipment is equipped with all the safety measures. Most of the injuries occur to children by falling from the equipment. So, avoid purchasing such equipment that have a huge height or do not have a safe surface. Quality: The second-most important factor that you need to keep in mind is the quality of the equipment. Make sure that the equipment you are purchasing possess high-quality materials and will not harm your children. Preference: Preference of the children should be on the top priority. Every child is different from one another, so are their preferences. A boy might like the equipment where he can show his physical strength. Contrary to it, a girl may not like such equipment. Besides all that, the credibility and reputation of the online retailer should also be kept in mind. This will ensure you that you are making a right deal with a right person. So, if you want to purchase the playground equipment such as play slide, merry-go-round, chin-up bars, etc., always do a proper research of everything.